A job is an important aspect of life, but finding one could be a nightmare. Searching for a job in the Philippines is tough for the Filipinos and for the foreigners it is even tougher. The Philippines is densely populated with an alarming unemployment rate because of which the competition is intense. But still many foreigners are attracted to the Philippines because of its beauty, pristine beaches, atmosphere and its rich history. So if you are one of those eyeing a job in the Philippines you should be well aware of the overall job culture of the Philippines. 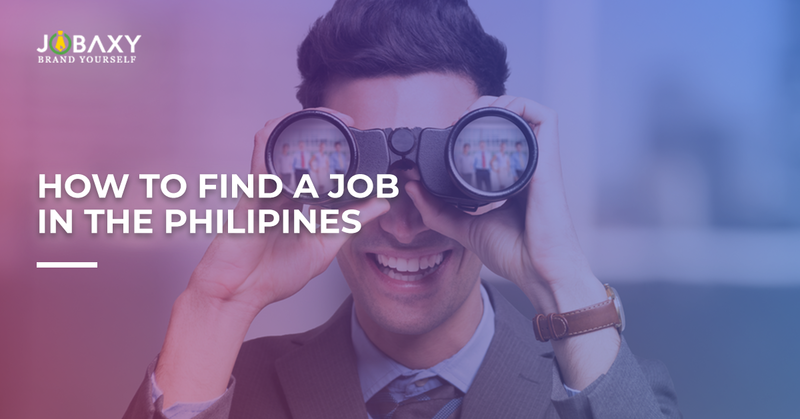 This guide will familiarize you with few a essential elements of the Philippines job search. As a foreign national, first, you need to know the immigration laws of the Philippines. Before beginning your job search familiarize yourself with the process to get a work permit. Create a brand for yourself. There is fierce competition and to stay alive your resume must be the best. Remember that the resume is your first meeting with the prospective employer. The Video resume is a good option to stand out, grab the attention of the employer and show your keen interest in the job. Research the companies in the Philippines. Find the job local job boards and post your resume so that the companies can find you. Track the available job positions and tailor your material accordingly. Search intensively through the online job portals like Jobaxy. Apply for the jobs directly through these online outlets. Sell your skills. Advertise your services and skills. You can do this by posting ads on the online classifieds and in the local newspaper. Give a detailed account of the services you offer with the charges. If you have already arrived in the Philippines, you can search the classifieds in the local newspaper. In the Philippines, the companies also post flyers in the cities, keep an eye for it. Another interesting way of going closer to your dream job is attending the job fairs. There are many job fairs conducted in the Philippines with all the major players of the industry participating in it. Refer to the blogs of professionals who moved to the Philippines for work. You can get helpful tips for searching the jobs and overall relocation. Sometimes you may also get the job leads from them. The MNC giants have their presence in many countries. You can search for the job vacancies within such global corporations that have the Philippines as one of their office locations. If you are lucky enough, you may get transported to their Philippines office. In such cases acquiring work permit is much easier. These points will help you in your job search. For seeking entry to the Philippines for work all foreigners are required to acquire an Alien Employment Permit (AEP) issued by the Philippine Department of Labour and Employment (DOLE). The AEP can be applied at the nearest Philippine Embassy or Consulate. One important piece of advice is to beware of job scams. Do not fall prey to the job scams.